COMING SOON - HARDCOVER COPY! Published by Guardian Angel Publishing November. Illustrations by Alex Zgud. Officially launched November 17th, 2018 at Indigo Yonge & Eglinton, Toronto. 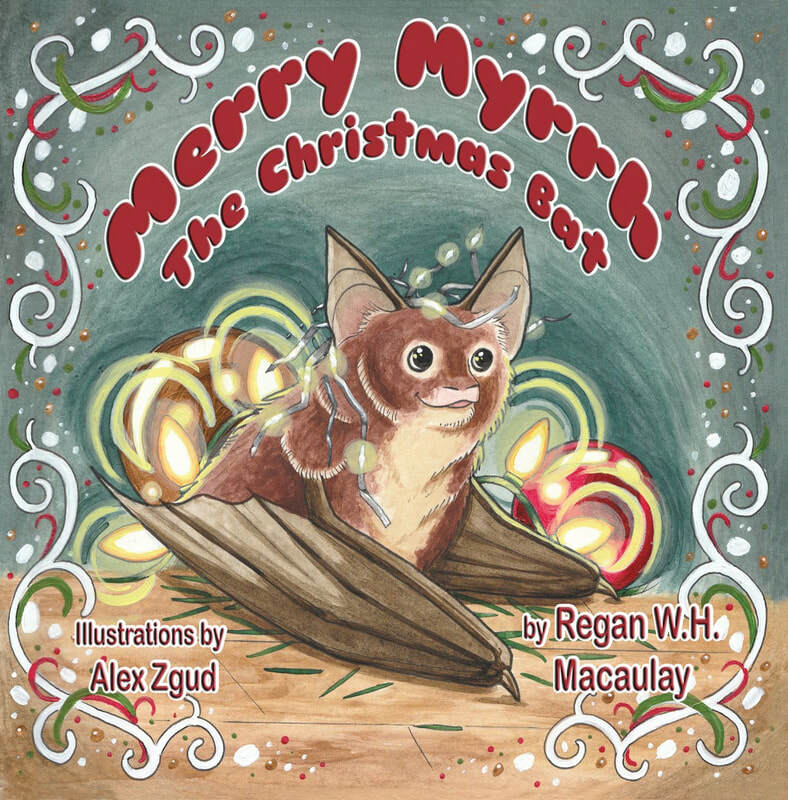 Myrrh is a young and very merry brown bat named after one of the gifts of the Magi. He experiences the wonders of his first Christmas among the decorations of a farmhouse, as well as the kindness of the family that discovers him in their home!